Makes one quart of grown up, sweet and savory strawberry sorbet. 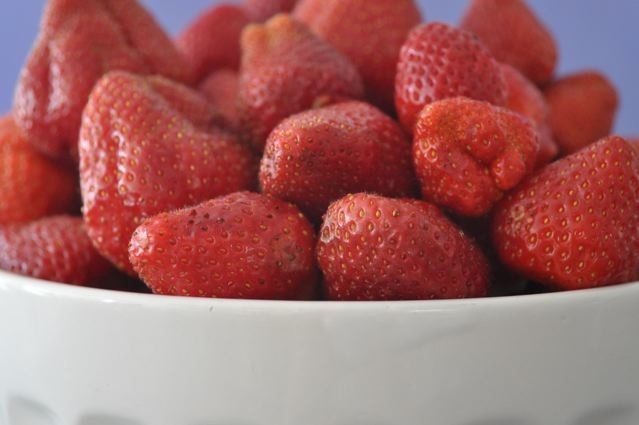 Start with the best fresh, local strawberries that you can find -- taste before you buy. 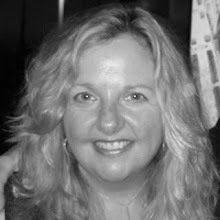 Wash and hull right before use and keep refrigerated to maintain a firm texture. Summer heat will turn these heritage berries into mush very quickly. 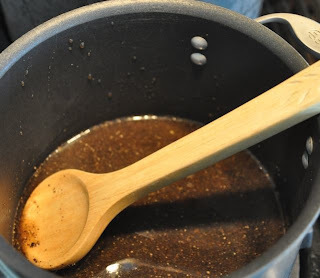 Make a simple syrup using 1/3 cup of sugar, 2/3 cup of water and 3 tablespoons of cracked pepper -- crack either using a spice mill, mortar and pestle. Boil together, then cool for one hour. (This is the low sugar version; sugar lovers can double the simple syrup recipe for each quart of strawberries). After the simple syrup has cooled, strain through a fine sieve to remove pepper. 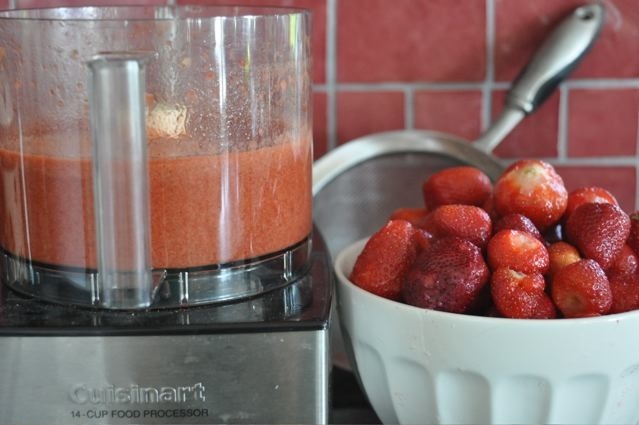 Mix strained simple syrup with one quart of fresh strawberries in a food processor. Process until very smooth. Strain pureed berries through a fine sieve to remove strawberry seeds -- this will take some time -- you may need to clean the sieve if it becomes clogged. Add 1 to 2 tablespoons of high quality balsamic vinegar to taste. Keep in mind that when frozen the spicy flavor of the huge (I sneeezed like crazy cracking the pepper corns) amount of pepper will be quite muted so when you taste the room temperature mixture don't be shocked - the pepper is guaranteed to overwhelm your senses. Have faith - frozen this dessert is delicious and quite sophisticated. Add pureed strawberry, sugar and vinegar mixture to your ice cream maker and finish according to the manufacturer's instructions. This is my low tech/low price Donvier maker. 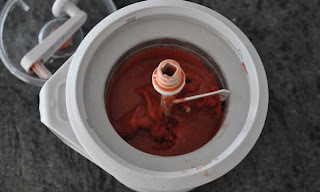 I keep the canister in the freezer so I can whip up an ice cream or sorbet on a moment's notice. Freeze over night in a serving bowl. 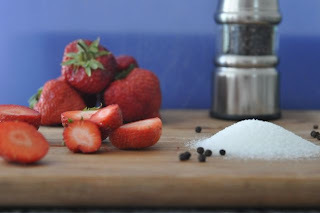 Variation: try red, pink and/or white pepper.